Home > Dining Coupons > Starbucks Deal: FREE Refills When You Buy Tumbler! Starbucks Deal: FREE Refills When You Buy Tumbler! This popular deal is back! 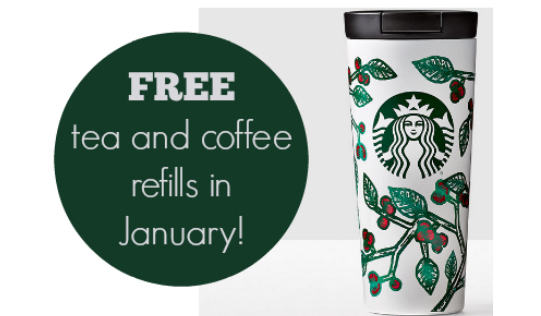 You can get FREE tea and coffee refills for a month when you buy a Starbucks Brewed Coffee Tumbler. The tumbler is $40 shipped. You can get one free coffee refill per day from 1/1-1/31. This is a great gift to gift someone who loves coffee! It is the gift that keeps on giving.